POZNAŃ, Poland, Jan. 28, 2019 /PRNewswire/ -- SMSEagle, a leading provider of hardware SMS gateways, today announced a new suite of hardware, the NXS-9700-4G and the NXS 9750-4G which provide compatibility with almost any 4G/3G network in the world. "Our new products are equipped with all the strength and performance efficiency to support everyday operations," SMSEagle Product Manager Radosław Janowski said. "Their extensive network compatibility and modem flexibility establishes the NXS-9700/NXS-9750 as the go-to hardware SMS gateway solution for IT professionals, worldwide." 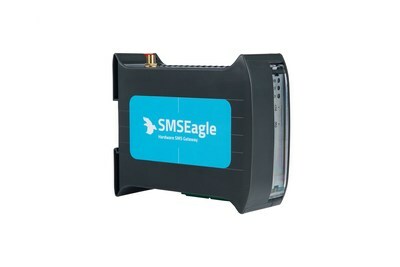 SMSEagle is a leading brand of SMS gateway hardware worldwide. The product allows you to send SMS alerts coming from network monitoring systems, SMS tokens from authentication systems, convert email to SMS messages, send and receive SMS texts using API. The gateway is designed for professionals who rely on reliability and easy integration with existing IT systems.